If you’ve been wondering where to buy acne treatment, then you need look no further. 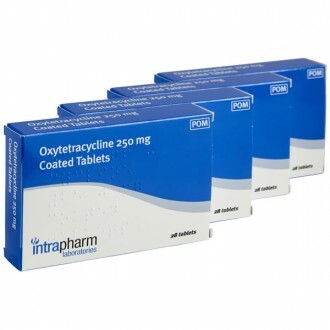 Purchase your Oxytetracycline tablets online, directly from The Independent Pharmacy, following a consultation with our Online Doctor. 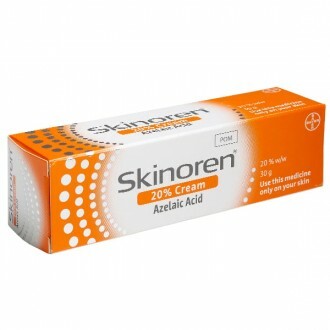 This antibiotic medication is a great treatment for persistent or cystic acne. Order online now for the best price and receive your treatment quickly and discreetly in the UK. Oxytetracycline tablets are antibiotics used for the treatment of mild to moderate acne. It kills the bacteria on the skin that causes blocked pores and leads to acne. 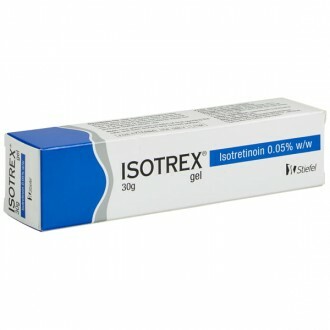 When taken for 8 - 12 weeks (2-3 months), Oxytetracycline can help to clear up persistent acne and is available from The Independent Pharmacy’s Online Doctor service. Oxytetracycline 250mg tablets are available to buy from The Independent Pharmacy’s Online Doctor service, following a free consultation, to help to treat acne. To find out more about acne and see all the available treatments, see our Acne page. Oxytetracycline 250mg tablets are an oral antibiotic used to treat acne, rosacea and other bacterial infections. Acne symptoms will present as blackheads and whiteheads, which are often referred to as spots or pimples. The active ingredient, oxytetracycline, belongs to a group of medicines called tetracycline antibiotics. Oxytetracycline is a broad spectrum antibiotic that is effective against a wide variety of bacteria. It can also be used to treat other bacterial infections, such as chest infections, urine infections, skin infections, genital infections, yeast infections and mouth infections. For treating acne, oxytetracycline helps to kill the bacteria associated with causing spots (Propionibacterium or Propionibacterium acnes). This common type of bacteria feeds on the sebum that is naturally produced by the skin in the sebaceous glands. This feeding causes Propionibacterium to produce waste products and fatty acids, which can irritate the sebaceous glands. This irritation will cause the glands to become infected and inflamed, resulting in spots and other acne symptoms. 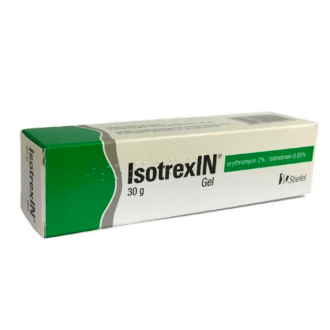 Oxytetracycline 250mg tablets work by interfering with the Propionibacterium’s ability to produce the proteins that are essential for their reproduction. This action stops the spread of the infection, reducing the inflammation of the sebaceous glands and allowing the skin to heal naturally. The remaining bacteria is killed off by the immune system or will eventually die out. Oxytetracycline tablets should be used alongside a good skincare regime where you wash the affected areas with a mild soap or cleanser once or twice daily to remove excess bacterial waste and sebum. You should use warm (not hot) water and pat the areas dry with a towel. Avoid over-washing the affected area, as drying out your skin too much could further aggravate the problem. Oxytetracycline 250mg tablets are suitable for treating moderate to severe acne (or rosacea) where there is an active infection and visible inflammation. If you have 20 to 100 whiteheads or blackheads, 15 to 50 inflamed bumps, or 30 to 125 total lesions, your acne is considered moderate. The duration of treatment will depend on how quickly your condition improves. Acne is a common condition amongst teenagers and adults and often presents itself as clusters of spots, which vary in size from small whiteheads and blackheads to large cysts and pus-filled spots, the larger of which can sometimes leave scars. Acne usually comes about as a result of a hormonal imbalance in the body, which is most common during puberty. For females, acne can also present itself when a period is due and also in the earlier stages of pregnancy. You can however, get acne at any stage of your life and many adults have acne that comes and goes depending on environmental and hormonal changes. Acne can also be caused by bacteria, Propionibacterium, which appear when the skin overproduces sebum, an oily secretion of the sebaceous glands – the true purpose of which is to maintain healthy hair and skin. Feeding on the sebum, this bacteria causes redness and swelling, as it releases harmful substances that cause inflammation of the sebaceous glands, leading to acne. Oxytetracycline can be bought online at The Independent Pharmacy and doses of 250mg come in packs of 112, 224 and 336. Pharmacist’s tip: Squeezing your spots or trying to remove blackheads can exacerbate the acne and even lead to permanent scarring. While exposure to Oxytetracycline in early pregnancy is not directly associated with any specific birth defects, its use in the second or third trimester can cause problems. We do not recommend taking Oxytetracycline if you are (or may be) pregnant. You should take two Oxytetracycline tablets twice daily, preferably in the morning and evening. Oxytetracycline tablets should always be taken with a full glass of water. Oxytetracycline should be taken on an empty stomach, this is usually one hour before food or two hours after food. Oxytetracycline should not be taken at the same time as indigestion remedies. A gap of 2 -3 hours should be left between taking each treatment. 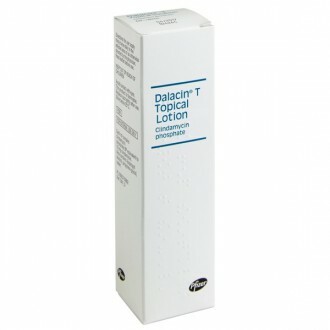 For treating acne, you will normally need to take Oxytetracycline for at least 8 weeks. Treatment should be assessed after 3 months to determine whether it has been effective. If your treatment has been effective, you can continue to take Oxytetracycline for another 3 months where you should see more improvement. If there has been no improvement in your acne, you should stop taking Oxytetracycline and consider a different acne treatment. 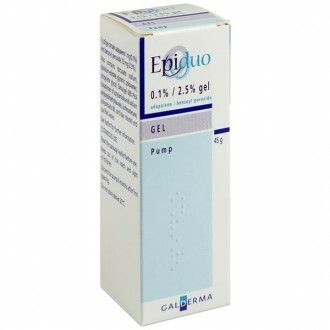 The use of topical treatments may be suggested to treat particularly severe or persistent acne, alongside this medication. 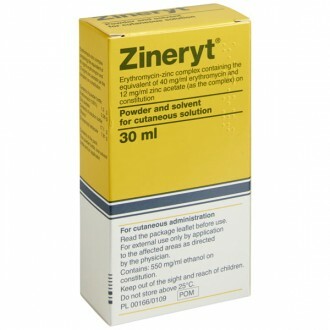 Occasionally Oxytetracycline can cause allergic reactions in a small minority of patients. It should not be taken if you know you are allergic to it or tetracycline antibiotics. If you experience a skin rash or swelling of the lips, face or tongue, you should see your doctor immediately. The active ingredient in Oxytetracycline 250mg tablets is oxytetracycline. It also contains: maize starch, pregelatinated maize starch, povidone, sodium starch glycollate, sodium lauryl sulphate, magnesium stearate, titanium dioxide (E171), quinoline yellow (E104), hydroxypropyl cellulose (E463), sunset yellow (E110), hypromellose, ethylcellulose and dibutyl phthalate. are allergic or sensitive to or have had a bad reaction to tetracyclines or other medicines similar to Oxytetracycline dihydrate in the past. are allergic or sensitive to or have had a reaction to any of the ingredients in the medicine. have had a hypersensitivity or photosensitivity reaction. have lupus or a lupus-like problem. If you are unsure about the effects or interactions of your current medication with this drug, please get in contact with us. Classed as a tetracycline antibiotic, Oxytetracycline is not related to penicillin. 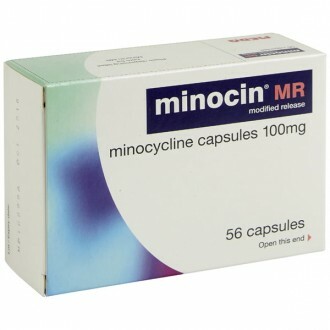 Tetracycline, doxycycline and minocycline are also popular antibiotics from this family of drugs, which are used to treat infections. Doctors prescribe 250mg tablets or capsules to treat acne, rosacea, as well as several other types of infection. Alternative antibiotics include doxycycline, erythromycin and clindamycin. 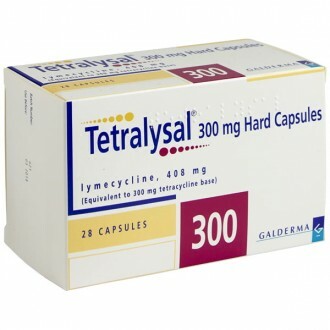 Tetralysal 300 (lymecycline) is another widely used acne medication that works similarly to this drug. How do you take Oxytetracycline? Abide by the instructions given by your doctor and take each tablet with water. It is important that you do not take Oxytetracycline immediately before lying down or retiring for the night, as this will increase the chances of stomach-related side-effects. Acne treatment supplied by the The Independent Pharmacy Online Doctor usually consists of a three month course, with the advice that four tablets (amounting to 1000mg) should be taken per day. This is achieved by taking two 250mg Oxytetracycline tablets both morning and evening. If you forget to take one of your daily doses, do not double up but simply continue with the next dose due. Bacteria lead to spots and lesions and Oxytetracycline works at reducing the inflammation. How do I know that Oxytetracycline is the right medication for me? If you have any concerns about taking this medication, speak with your doctor, who will be able to provide you with the answers you need. Does acne return after the Oxytetracycline treatment has finished? 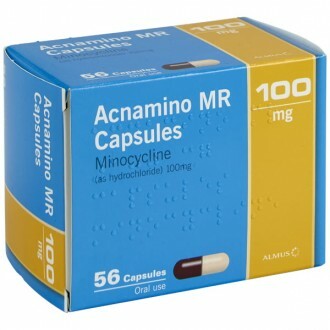 Always complete the course of Oxytetracycline provided by your doctor, as not finishing the course could mean that the bacteria may not have been fully eliminated and could return more fiercely. Once acne has been cleared, there is still a chance that not having Oxyteracycline in your system may give way to bacteria once again appearing on the skin. When do I stop taking Oxytetracycline? Only stop the treatment on your doctor’s advice, as stopping before your skin has truly repaired could cause the return of a much more severe infection. Even if your skin looks clear, it is important that all antibiotic treatments are taken up to the end of their prescribed course. How long can this medication take to treat acne? The usual recommended duration of treatment is 8-12 weeks. This time is required to ensure that you have given it a chance to fight the infection. If your acne persists after your course of antibiotics, you can have another consultation with our Online Doctor to see if another medicine would work better for you. Should I use topical treatments on top of this medication to treat my acne? For effective treatment, it may be advised that you use topical treatments alongside this antibiotic to cure your cystic acne. 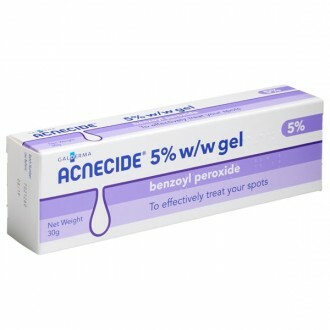 Skinoren or Benzoyl Peroxide-based treatments may also be an effective addition. These topical treatments are not available over the counter. 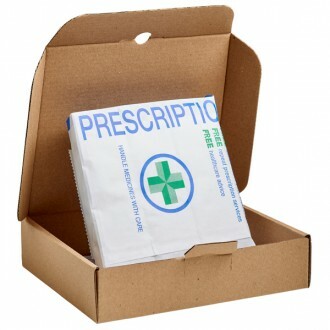 The best way to get them delivered straight to your door in the UK is to buy direct from the Independent Pharmacy online. What is Oxytetracycline used to treat? cysts - a sac or cavity which contains fluid. These form when bacteria grows in a blocked hair follicle which already contains trapped sebum (oil) and can be caused by hormones, a vitamin deficiency or a bad diet, stress and genetics. Oxytetracycline is formulated to prevent the growth of bacteria, thus alleviating and removing the condition. This medicine is also widely used in the treatment of other conditions such as chlamydia, rosacea and urinary tract infections (UTIs). If you need it for another medical compliant, then we recommend you see your doctor for a check-up. How and why can Oxytetracycline cause photosensitivity? Some drugs in the tetracycline family, including Oxytetracycline, reportedly cause photosensitivity. Sun exposure can cause redness, swelling and rashes when on this medication, though only in very rare cases. This can be avoided by using a high factor sun block when exposed to strong UV light. Is wearing makeup advisable when using Oxytetracycline? There is no problem in wearing makeup, but choose products that are not greasy or oil-based, as being so would worsen the acne. This is because acne is fundamentally caused by blocked pores, and oil-based makeup is widely recognised as being comedogenic – in other words, it can block pores. You can prevent your makeup-related acne flare ups by ensuring that you remove your products thoroughly from your skin with an alcohol-free makeup remover. Alcohol-based makeup removers are an irritant and can aggravate your skin further. Can I help clear my acne in other ways? Myths abound as to the cause of acne and include an unbalanced diet, though no clinical studies have shown a link. Stress has also been attributed to acne but, while it will not cause it, it could exacerbate the condition. The best thing to do is to follow the instructions given to you by your doctor. There is no problem in wearing make-up but choose products which are not greasy, as being so would worsen the acne. Yes. This can be obtained from your doctor, or by ordering online from The Independent Pharmacy. The tablets are circular and biconvex (curved like a ball on both sides) and yellow in colour. Can Oxytetraycline and the contraceptive pill be taken at the same time? Oxytetracycline can lessen the effect of oral contraceptives and so, in these circumstances, you should take extra precautions during the treatment and for at least 7 days after the course of Oxytetracycline has finished. A condom and extra spermicide could be considered. It takes up to six months to clear acne but severe cases could take up to two years. If you do not notice an improvement within the first three months, speak with your doctor, as an alternative medication may prove more suitable to your needs. Alcohol is permitted, as it doesn’t interfere with the effectiveness of this medication. Will Oxytetracycline affect my capacity to drive? You should still have the same capacity to drive, though if you experience any side-effects which make you feel unable to drive, avoid this responsibility until you have spoken with your doctor. Keep it at a temperature below 25°C and safe from children. Can Oxytetracycline be bought over the counter? In the UK, Oxytetracycline can only be purchased by prescription. The Independent Pharmacy can provide Oxytetracycline online for people with acne using our Online Doctor service. Can I take Oxytetracycline when I have just consumed milk? It is advisable that you avoid taking this medication when you have recently consumed dairy products, including milk. This medicine should ideally be taken on an empty stomach. Taking Oxytetracycline in combination with dairy products may result in it being absorbed into your system less effectively and it could therefore treat your infection less effectively. Why do I need to take Oxytetracycline on an empty stomach? Some medicines, particularly antibiotics, must be taken before food or on an empty stomach. This is because some food and drink can interact in negative ways with the medication, which would make it work less effectively to treat your infection. Though not all food or drink will do this, it is best to avoid eating to be on the safe side. Food and drink can also prevent your stomach from absorbing the medication entirely, so to make sure that you get the correct dose, an empty stomach is advisable. What other forms is this medicine available in? Currently, we only supply the tablets for acne, but should you require a different form via NHS or private prescription, we would be happy to dispense this for you. Does Oxytetracycline have penicillin in it? No, Oxytetracycline does not have penicillin in it and it is not related to penicillin. 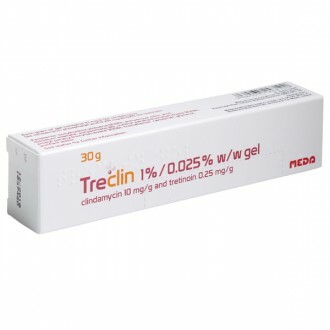 Oxytetracycline is safe for people with an allergy to penicillin and is sometimes prescribed for infections in those who are sensitive to penicillin. Is Oxytetracycline better than Lymecycline? Both treatments are prescribed for patients suffering from acne, rosacea, or cystic acne. Both are tetracycline antibiotics and are very similar in price. 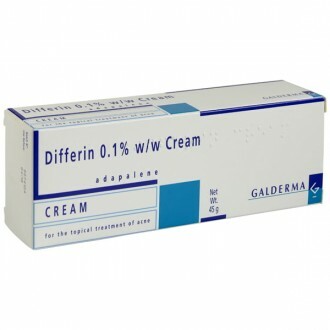 They are both considered first-line treatments for acne by national guidelines and have very similar effects. Oxytetracycline may be inconvenient for some people as it needs to be taken twice daily and should not be taken with food. Lymecycline only needs to be taken once a day so may be more convenient for some people. Is Oxytetracycline the same as Doxycycline? Oxytetracycline and Doxycycline are both part of a family of medication called ‘tetracyclines’ but they are not exactly the same thing. 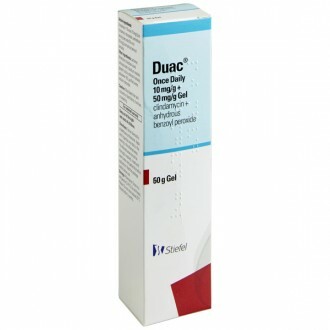 Doxycycline is more fat soluble than Oxytetracycline, and is often prescribed for malaria prevention, as well as for acne.